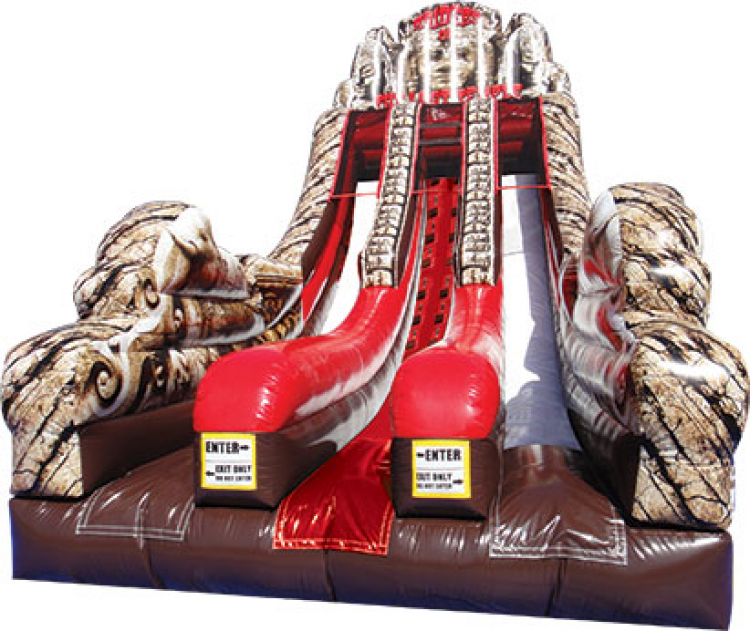 $449 The Raiders of the Lost Temple double slide will be the central piece to your event! 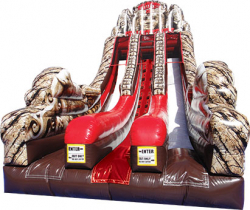 This inflatable slide is designed to handle large crowds or more intimate events. Participants climb up the center lane and slide down the outside lanes.